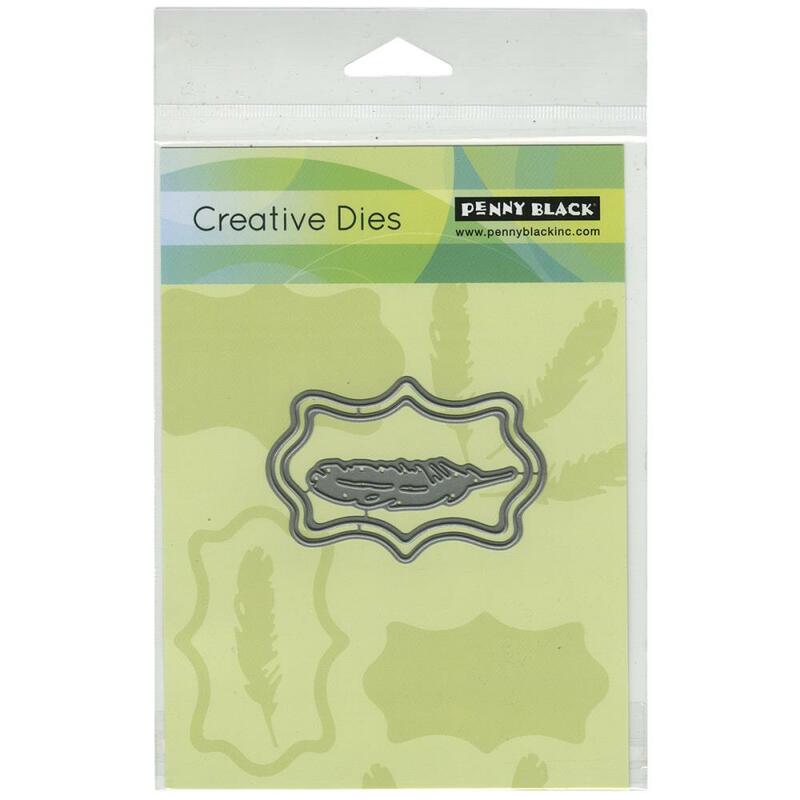 PENNY BLACK-Creative Dies. Cut paper, fabric and much more! High quality, thin metal cutting dies made of 100% steel. Works in most major brands of die cutting machines. This package contains Feather & Frame: a set of three dies measuring between 1/2x2 inches and 1- 7/8x3-3/4 inches. Made in USA.